What age is the best age for Disney? It’s the kind of question that fills the Disney advice boards and gets the comments rolling. Everyone has an opinion and everyone knows best but I’m here to tell you, the best age for Disney is..this age..the best time for Disney is…right now. Every Disney trip I take with my Dole Whips is different. Every trip is filled with specific memories and moments that I can never duplicate or get back and it’s because I just want to be there with them at this age. How can I replicate the reaction my oldest Dole Whip had when she met Peter Pan for the first time and couldn’t wait to tell him that “Hook. was a codfish” ? She was insanely head over heels for Peter at that age and she met him, she hugged him tight and I’m pretty sure I saw Pixie Dust burst from her eyes! How can I ever forget when, as an infant, my littlest Dole Whip would have happily left in the arms of Doc McStuffins! The child, who loves no other person but his mama, could not contain his excitement. She was real and in front of him! I wanted to outline some reasons besides the obvious heartstrings tugging ones for taking those littlest Dole Whips to Disney. The first reason to take a baby to Disney is that anyone under 3 is free! I don’t know about you but blowing the mind of my little for no cost sounds like a win/win to me. When you have siblings of different ages, it is nearly impossible to find that perfect age for everyone. Someone will always be too old or too young for something. I promise it all works out at Disney. Disney is made for family travel. You are not the first person or the last to go there with a little ones. They have splash pads, seating areas and Baby Centers stocked with every item you could need. Baby Centers have televisions, private nursing rooms, air conditioning, changing tables and a stock of any emergency item you may need available for purchase. There are so many services available to make your trip so much easier while traveling with the family. There are stroller rental companies that will deliver a steamed cleaned stroller to you resort. These strollers recline for napping, have huge canopies for sun protection and ample storage for all your stuff. there are also grocery delivery services that deliver fresh groceries and necessities to your resort. I always have a case of water, some fruit, yogurt and a package of diapers and swim diapers waiting for me on arrival. It would be terrible to have to travel with all of that stuff. I always end up with enough to get me home and extra room in my luggage for all the stuff I “needed” to buy. Strollers for me are not a hindrance. They are the place to stash my stuff, they enable me to strap my littles in and get to where I am going faster. 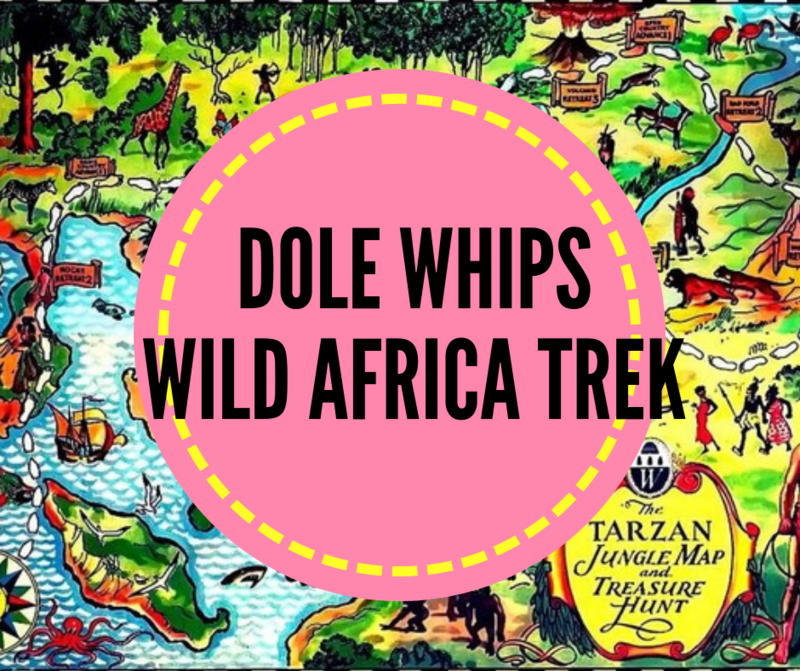 My Dole Whips take awesome naps in their strollers at Disney and we take that time to enjoy the atmosphere, grab a snack or shop. A majority of the rides throughout Disney have no height requirements. This means you can get on these rides with those babies and enjoy it with the family. If it is a ride that the baby cannot ride, there is a rider switch option available where parents can take turns riding. With some planning and knowing the limits of your children, infants and toddlers can be pretty agreeable and really enchanted while at Disney. People watching, Tiki Birds and banjo playing bears may be just what is needed. Be willing to go a bit slower, take breaks and just be in the moment. You can get the little ones in on the fun and dress them in fun Disney Bounds and outfits. Things thay they may give you a hard time with when they are bigger. I am sure my little guy won’t want to be Gus Gus with a mouse tail when he is bigger, so I am going to get those moments in now! Remember, they will never be this age again. A Disney vacation with your family can be like capturing time in a bottle and you will have memories of them and who they are today.